The rapid increase of globalisation has created an interconnected world where job descriptions, responsibilities and required skills are both crossing paths and becoming less clear-cut. New roles are constantly cropping up and demanding unique combinations of skills and experience. Your ability to map out a lucrative career path will be aided by knowing which soft, hard or new skills you’ll need next. By using an evergreen blueprint like the GetSmarter career path profile, you’ll be able to anticipate trends, and measure your current position against the future role you’re aiming for. In 2017 GetSmarter launched the first phase of career path profiles. Over 38,000 people accessed these popular career planning tools and used them as a future-proofing framework. Which industries and trends will the career path profiles include? 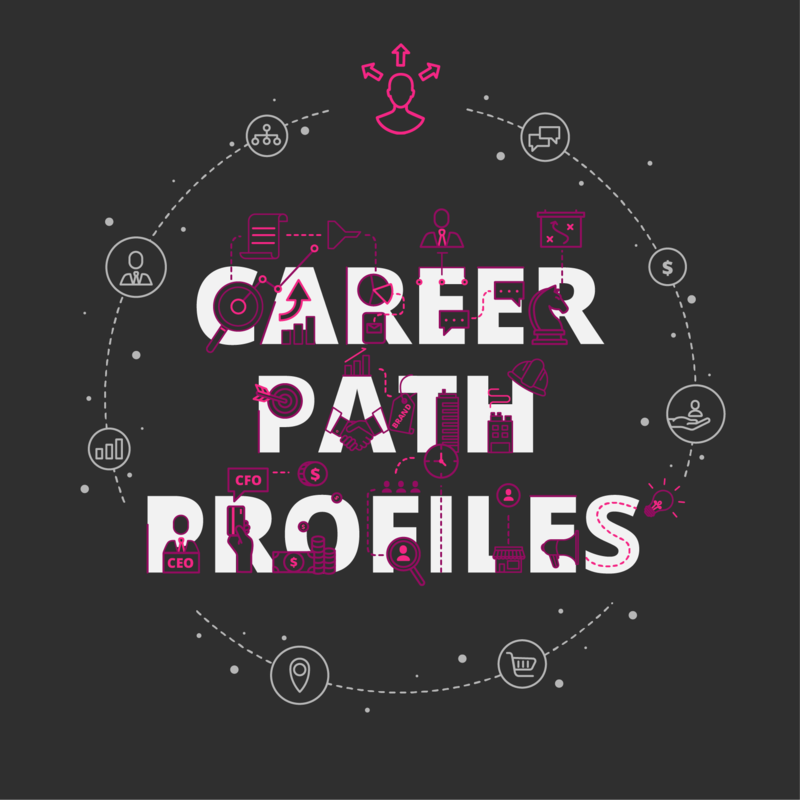 Spread across nine industries, the 2018 career path profiles will offer a wider range of industry trends and insights. As a result of the workplace experiencing a tech boom over the last 10 years1, and the increasing demand for professionals with broad technology-based skills, you’ll see the career trajectory of Data Scientists, Cybersecurity Specialists and Fintech Entrepreneurs mapped out. You’ll gain access to salary and skills information within the lucrative Finance, Real Estate and Law industries including occupations related to Financial Management, Compliance, Occupational Health and Safety and Property Development are outlined. Executive education experts share their career path learnings for the roles associated with Executive Assistants, Executive Coaching and Office Management, as well as online education influencers sharing insights on the field of Instructional Design. Knowing a consumer’s first impression of a website is 94% design-related2, career path profiles in the Arts and Design industry will cover User Experience Design, Web Design and Graphic Design. How can I gain access to the GetSmarter career path profiles? The 2018 Career Path Profiles will launch in the GetSmarter Newsletter throughout the month of February. Don’t have a subscription? Sign up here to ensure you receive your career paths in your inbox every Wednesday.